$5-10 Pay-What-You-Can. No one turned away at the door. Caregiver Connections, Education and Support Organization (CCESO) is a group of dedicated and caring volunteers serving caregivers and newcomers in Toronto. We provide FREE information on immigration and labour issues. We also offer Leadership and Advocacy Trainings, Educational & information Sessions, Individual and Group Support, and Socializations/Events. CCESO is a completely volunteer-run organization. Kwentong Bayan: Labour of Love is a community based comic book project, created by Toronto-based artists Althea Balmes (illustrator) and Jo SiMalaya Alcampo (writer) in collaboration with caregivers and supporters, about the real life stories of Filipina migrant workers. In the Filipino language, Kwentong Bayan is the literal translation of community stories. Labour of Love reflects our understanding that community-based artwork and caregiving work is rooted in love, is valuable, and deserves respect. Kwentong Bayan in collaboration with CCESO will present stories from their comic book combined with live illustrations and audio soundscapes. 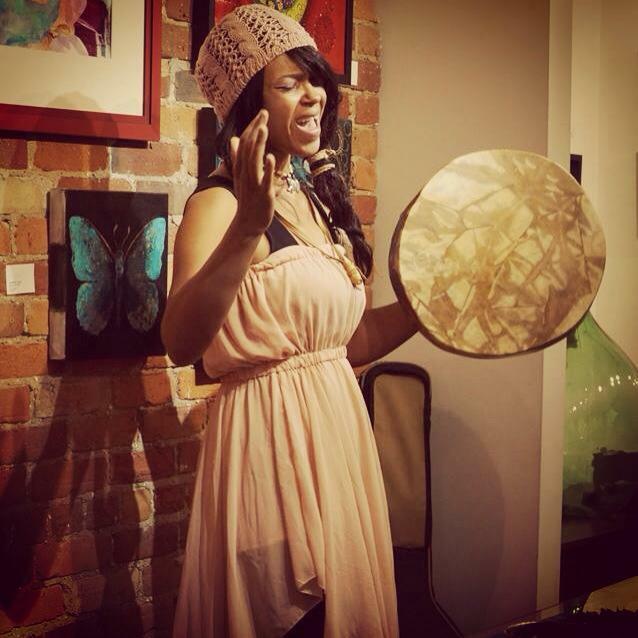 Mahlikah Awe:ri is a First Nations drum talk poetic rapologist; arts educator; radio host; hip hop hand drummer, activist, curator; OAC Aboriginal Artist in the Schools Artist, and founding member of the hip hop movement Red Slam Collective, inaugural nominees for the 2013 Diversity Arts Award from the Toronto Arts Foundation and TD. In 2011 she released the EP Serpent's Skin. She is currently published in three literary anthologies and was nominated for a KM Hunter Arts Award in Literature in 2013. In 2012 she was a curator for the Canadian Festival of Spoken Word First Nations Showcase and the Emergence Community Arts Practice Conference at Harbourfront; she headlined at Gathering of Nations in New Mexico, Sentinel Shores in Vancouver, and NXNE in Toronto with Red Slam. In 2012 she was invited to speak at the Toronto District School Board Sister 2 Sister Conference for Grade 8 Girls; Lost Lyrics 5th Annual Conference for Youth; and as a member of the 2012 Individuality & Collectivity Mayworks Arts Panel. #Hashtag Poetry Portraits was awarded an inaugural Toronto Arts Foundation/BMO Seeds Grant in 2013. Mahlikah is currently the artistic coordinator for Red Slam’s 4 Directions Urban Arts Projects and artistic programmer for the Daniels Centre for Learning Regent Park. As Red Slam celebrates 5 years of existence, persistence and resistance in 2014, you can hear Awe:ri’s lyrical prowess on RS’s current singles Kno Use and Right Level featured on the soon to be released debut LP. ﻿Randell Adjei is a spoken word Edutainer & Artivist who uses the power of words to Reach Intelligent Souls Everywhere through Edutainment. He is the founder of the City wide movement; Reaching Intelligent Souls Everywhere (R.I.S.E). The beat of his Art was found after years of being lost. 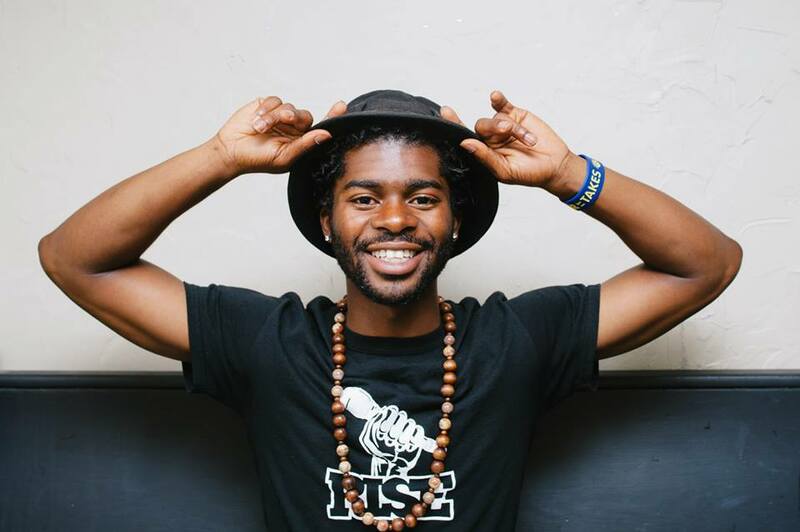 He found himself by turning his struggles around to inspire others. His mission began in 2009, after being awarded as Valedictorian in his Blessed Mother Teresa class, he also won 5 awards including Ontario Scholar & School Spirit recipient. This push gave him the confidence he needed to overcome any obstacle. He is an avid believer in human rights and leads his group of activists once a month to feed the Houseless of these Toronto streets. His spirited passion to elevate others has inspired thousands along the way. Randell was also a recent recipient of the Identify & Impact Street Level Advocate Awards by the Toronto Youth Cabinet & the Yinnergy Appreciation award from the Youth Outreach Workers in Malvern. Zak’isha Brown has been writing music since her early teenage years. In her up-bringing, she was surrounded with music from the old school Hip Hop era. She now credits her favorite lyricist the late Big Pun and her favorite emcees Lauryn Hill and MC Lyte. In her work, listeners can feel the residue of that era and the imprint of her inspirations, one of which is her father. At the age of fifteen, Zak'isha's father introduced her to the Hip Hop element of rap battles. She would watch as her father himself would challenge other emcees to freestyle battles. It didn’t take long for her to look for inspiration outside her very household. She began watching and studying emcee battles like “King of the Dot” and “Grind Time”. Shortly after, she knew that Hip Hop music was the field she desired to pursue. When asked to describe herself using one word, she stumbled upon a few until she finally settled for the word “Determined” which seems most suitable to describe her personality and her art. She travels around the GTA, holding and hosting workshops. Highlights include delivering a piece welcoming Dr. Ben Carson at the 'signs of science' lecture in Toronto's Humber College. 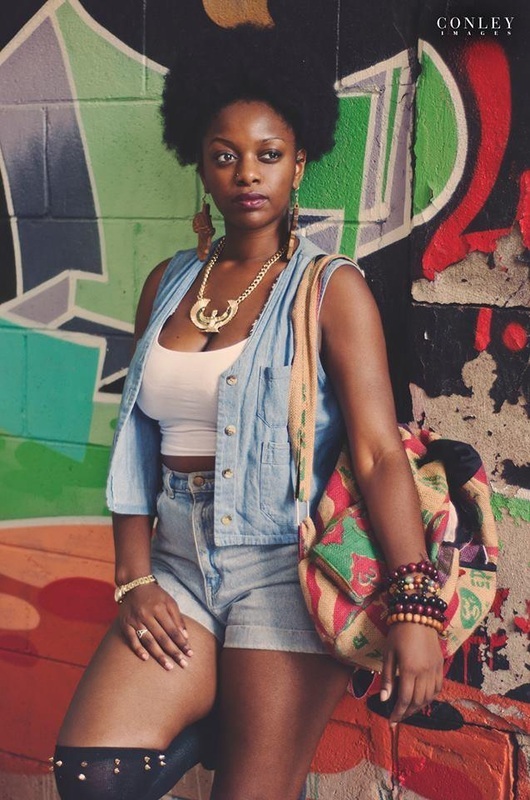 She's also performed at many different Middle and High schools across Ontario and opened up for Artists such as Talib Kweli on the Yonge & Dundas stage downtown Toronto. As one of the organizers for "Rise Poetry", Zak'isha is certain that through her art she will motivate others. “They can do this too. It’s not just about materialism. Substance is key. 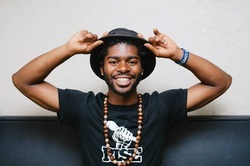 What makes you different from every one else?” Most importantly, she adds, “I want to show others that you can still have the main attributes to Hip Hop such as lyricism, story telling, substance, skill, flow and originality while still connecting with the listeners." Zak'isha shares a quote from one of her favorite artists, KRS-ONE: "Hip means to know, it's a form of intelligence, to be hip means to be up-to-date and relevant, Hop is a form of movement. You can't just observe a hop, you have to hop up and do it. Hip and Hop is more than music, Hip is the knowledge, Hop is the Movement." Lishai is an award-winning poet who uses the power of the pen to connect, reflect and educate. She was raised in Europe and the Middle East, but she is a daughter of India’s diaspora. Every time she is on stage, she walks with the legacy of her grandmother, her mother and the women who came before her. Lishai develops spoken word programming for youth in schools throughout Toronto and is the founder of Ink Veins: young women writer's collective. She is the author of "Why Birds and Wolves Don't Trade Stones" graphic novel and her first spoken word/music album, "From Here On" launches on May 16, 2014. Haniely Fernandez was born and raised in the Philippines and came to Canada in 2006. As a Filipino migrant her testimony was featured on the CBC radio show, Definitely Not the Opera in 2010, for the episode A better life (Sacrifice). 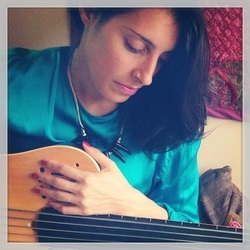 She writes poetry and translates them into music. Her past projects include Santa Guerrilla (music collective), Pacific Blues Music (OPM mixtape), In Transit: ManilaXToronto (poetry digital album collaboration) and Balak (a digital chapbook from the Poetry as a Second Language collective). She is one of the guests vocals in the Times Neue Roman song, Curated Friends. 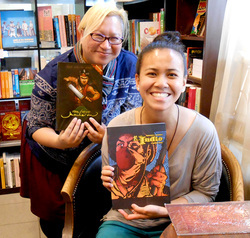 Her poetry, "Tahan Na" was featured in the academic journal, Sibol of the University of Michigan. She has performed in different community events in Toronto and collaborating with other artists. In 2012, she was featured in the short film, Suman Ladies that premiered at the Toronto Reel Asian Film Festival. In the same year, she also participated in Arrivals.ca, a "series of arts-based projects focused on celebrating the stories of new citizens and asking how to better welcome newcomers". As an immigrant herself, she believes in the power of individual stories. Thus, she is proud to share hers. She is passionate about health, music, arts and culture. She is currently one of the recipients of the Ontario Arts Council's Popular Music Grant. Han looks forward to putting out a solo album soon. 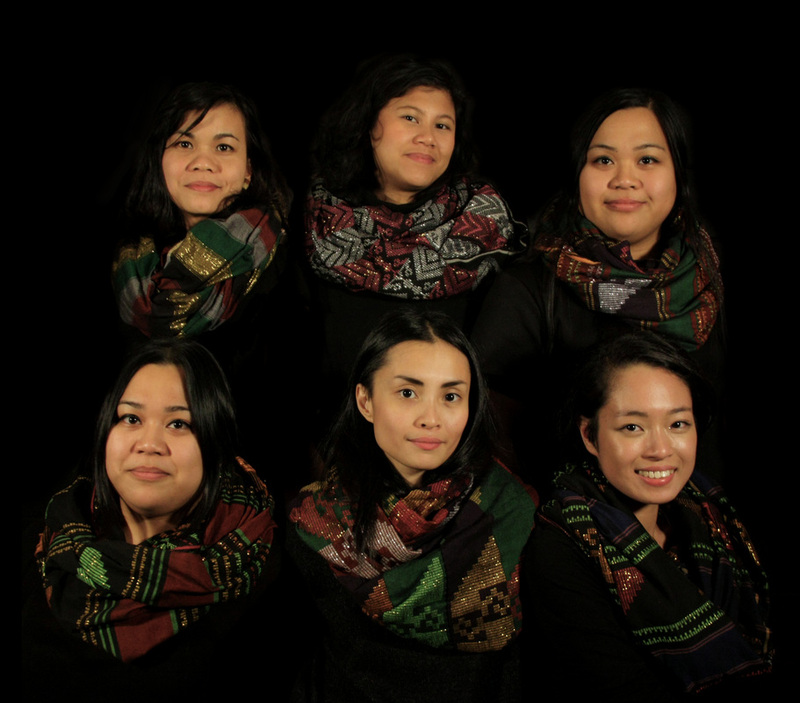 We are Pantayo, an all-women Filipino Canadian musical collective based in Toronto. Our music is grounded in traditional kulintang music of the Maguindanaon and T’boli peoples of Southern Philippines, but explores the possibility of kulintang music influenced by our identities as diasporic Filipinas. We have performed at various community and arts events including: OISE’s Memorial for Roxana Ng; Kultura, Kapisanan Centre's annual multi-arts festival; Taking Place, an event presented by the WhipperSnapper Gallery, and Community noise Grrrl/Feminist Fest. Pantayo was founded in 2012. We have collaborated with artists such as Santa Guerrilla and Yamantaka // Sonic Titan. The current members of the collective are: Christine Balmes, Kat Estacio, Katrina Estacio, Marianne Grace Rellin, Michelle Cruz, and Joanna Delos Reyes.